Are you overwhelmed with the trends in eLearning that are out there? Confused of what to implement in your organization? To help you find your way, we’ve compiled the top trends top-performing organizations vouch by. If your training is still in silos, it’s time you blend your training initiatives. Ensure your training programs are based on the right needs for best results. How will these help you? Well, this will not just improve your employee performance, but also help you demonstrate the ROI on training to stakeholders. 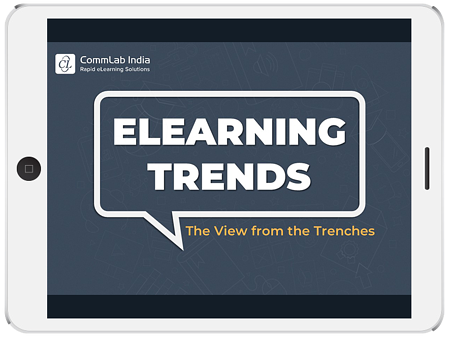 Explore all this and more in this handy guide on the eLearning trends of 2019.